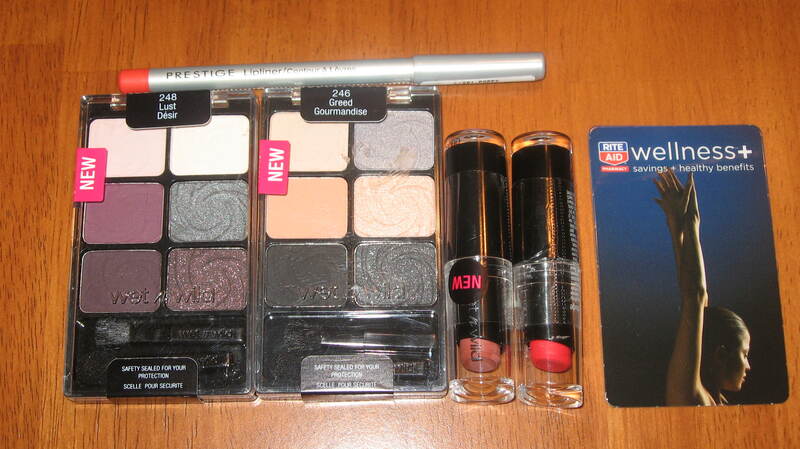 Today Rite Aid had a sale (buy one get one FREE) on WetNWild cosmetics for Wellness club members. I, of course, joined on the spot (no charge)! I have been dying to get my hands on the other WNW color icon palettes ever since I fell in love with “Vanity” this winter. This time I purchased “Lust” (248) & “Greed” (246)… I also purchased 2 tubes of lip stick (also by WNW) called “Sand Storm” (913C) & “Red Velvet” (910D)…WNW didn’t have any reddish pencils in stock so I bought a orangish red pencil by Prestige cosmetics in “Poppy” (L-201). The plan is do a neutral eye w/ a bold lip sometime this weekend… stay tuned! ← Gee willikers… what happened to her curls, Batman?! I got some of their lip glosses… Not bad @ all. Lipsticks scare me. Lol. Me too… I always feel like I’m playing dress up whenever I wear it.